The highest rated pool repair company in Huntington Beach (Google it). 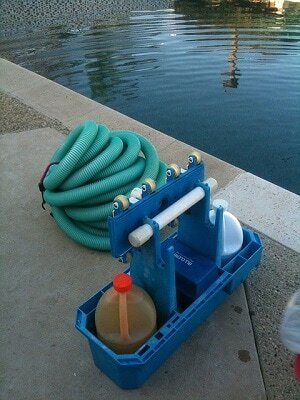 HB Pool Service can repair any swimming pool and spa facility issue through industry recommended practices. Swimming Pool Repair At The Most Efficient and Cost-Friendly Prices. We Repair Any Residential Pool, Commercial Facility and Spa/Jacuzzi's. A broken swimming pool is an unhappy swimming pool. We know our customers don't like to have issues with their pools as they can sometimes happen at the worst possible times. (Yes, we're referring to that planned backyard BBQ party that had to be put off). Many have fallen victim to this horrible instance - a few people may still be recovering. In whatever case, we're the premier pool repair company that prides ourselves in being the most qualified to repair any pool issue for any backyard pool, city-operated pool or other private pool facility at the cheapest price. Huntington Beach Pool Repair Service Done Right! We don't fix broken pools. We repair great pools. And make them happy again. Whether your pool is taking on more surface cracks, service pump flaring up or pool various tiles beginning to break off, we've got you covered. We offer any pool repair surface that you may need and our pool repair technicians can take care of any repairs known to mankind. If you're unsure of the repair your residential pool or commercial pool may need, give us a call and we'll get a qualified pool repair technician go take a look at the pool, access the needed repairs required and ensure we give your a proper estimate. In addition, we offer spa repair services at affordable prices. We can repair dry filters to restore your spa's water quality and keep all jets running efficiently and ensure all pumps are sealed. If replacements of any pumps or filters, we've contracted with some of the best pool suppliers in the area that provide low cost repair tools and supplies. The proper pool repair can help restore the life in your pool. As in anything , minor issues can lead to bigger cases of damage and lasting wear that can drastically reduce the life of your swimming pool. Our pool repair services make sure that the health of the pool is optimized to it's fullest potential. We seal ever pump, repair filters affecting the safety of the pool, patch any areas exposed through unforeseen damage and make the swimming pool or spa is feeling fine. Have a need to talk to the best technicians at the best pool repair company in Huntington Beach for your pool?